“Wealthy” doesn’t mean the same to everyone. It’s not just the number of zeroes on an account statement — it’s also the hard work, commitment, and sacrifices you put in. It’s what you’ve put aside for the future. And how much you’ve earned as retirement benefits. JGC Wealth Management, LLC is a team of down-to-earth, approachable financial experts who get it. We help real people like you protect and grow their nest egg. You’ve got more than dollars and cents invested in your nest egg—it’s the sum of your hard work and dreams for the future. No matter the dollar totals of your assets, we work to have your portfolio grow, be broadly diversified and suitably allocated. 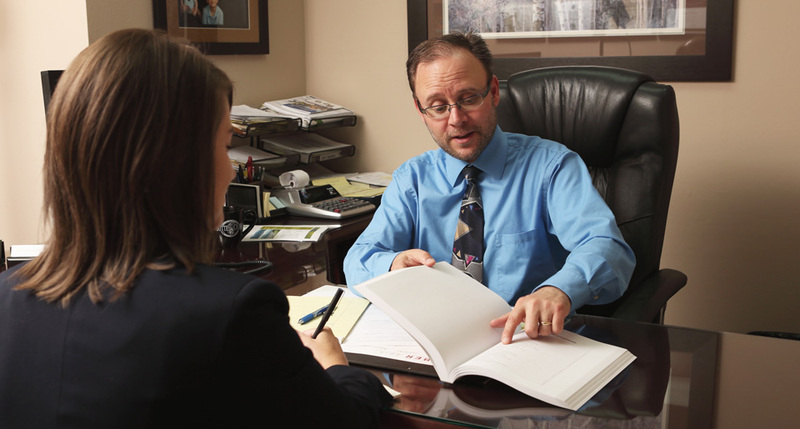 As a financial advisors, we work closely with clients on their portfolios. Have you wondered if your nest egg could use a professional manager? We usually work with clients with $100,000 or more in investable assets, while many wealth managers prefer clients with a much larger portfolio. For clients socking away assets quickly, we’ll begin with even lower value portfolios. You’ll still get professional insight, reliable advice and expert management. As affiliates of Johnson Glaze & Co. CPAs, you can also count on us to view your portfolio from the tax perspective—ensuring your nest egg is invested sensibly for growth and the best tax advantage. You’ll have a partner who sees your investments from all angles. Download our investor questionnaire below. It will help us understand the appropriate mix of stocks and bonds for your portfolio, based on your risk profile and goals. You’ll spend time with your wealth manager discussing your situation, financial requirements, goals, and appetite for risk. That will help us develop the best plan for allocating your nest egg. You’ll receive a formal investment policy statement describing portfolio management and maintenance over the long term. You’ll know what to expect from us. We’ll research, monitor, review and rebalance your investments regularly. You’ll receive regular updates, including monthly statements, quarterly letters, and periodic meetings. Daily online access is available. For most of our clients, we recommend low-expense, no-load mutual funds from Dimensional Fund Advisors and Vanguard and/or exchange traded funds (ETFs) from Vanguard and iShares. We might recommend individual bonds or no-load variable annuities if we think they’re a good fit. When it makes sense—typically for tax purposes—we will manage around specific stocks and/or low basis mutual funds clients have placed under our management. Learn more about Dimensional Fund Advisors and our investment philosophy in this video, Dimensional’s Flexible Trading Approach. To provide you with top quality research, reporting and trading services, we work with third-party asset managers and sub-advisors. These resources allow us to focus our time with you on the best plan to reach your goals. TD Ameritrade and Fidelity are our primary custodians. Ask about the apps and mobile access both TD Ameritrade and Fidelity offer. There is no charge for your first visit with us. Income records such as W-2 forms and tax returns for the last three years. Most current 401(k) and other retirement plan statements. Names, birth dates, and beneficiary contact information. Our planning and asset management services are designed around your long-term goals. As a fee-only firm our incentive is to manage your nest egg for the best possible result. We typically provide services to households with $100,000 or more under our management. Each quarter we charge a percentage of assets under our management, based on balances at the end of March, June, September, and December, adjusting for cash flows. Quarterly fees usually range from .40% to .20% of assets under management. The larger the portfolio the lower the percentage. We use a tiered fee schedule for many clients which automatically adjusts the average quarterly fee percent to match the size of a client’s portfolio(s). Trading costs and internal fund-level expenses are separate, and we do our best to keep both cost-effective. Learn more about the benefits of fee-only management.